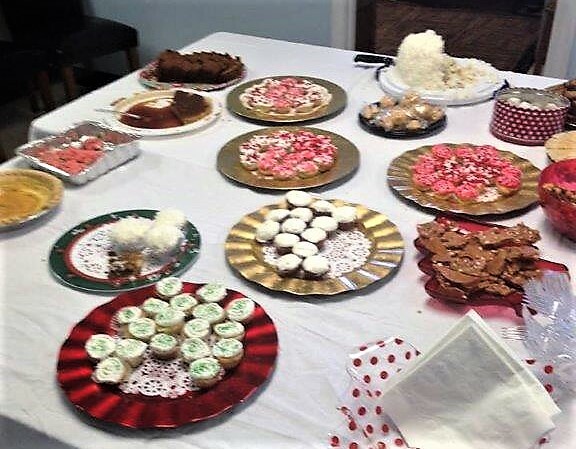 "The Child Advocacy Center Holiday Open House is a wonderful Christmas tradition held each year on the first Friday in December," said director Sharon DeBoer. 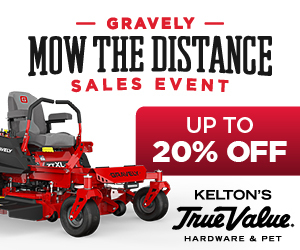 "We are grateful this Christmas season for all of our loyal supporters and this is our way of showing them how much they are appreciated." Have fun this holiday season! 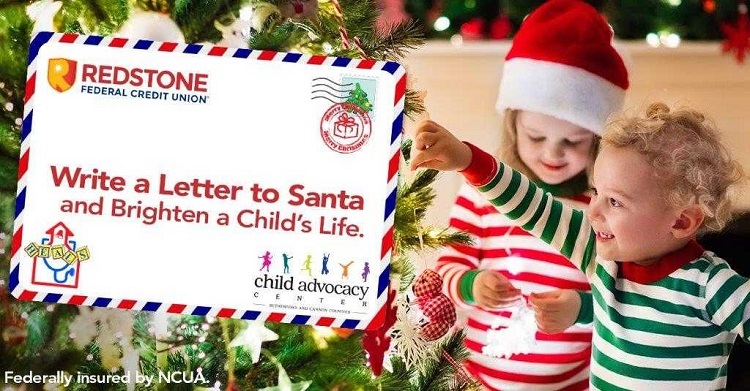 Help your child write a Letter to Santa with their Christmas wishes and brighten another child's life. "Good parents are the best defense against online predators," said Child Advocacy Center director Sharon De Boer. "It is important that parents are educated on how to protect our children from becoming victims." The Child Advocacy Center is looking for those who would like to be a Secret Santa for abused children and families. People who know a child living in a home where parents are using opioids or other drugs may report the abuse to the Department of Children's Services Child Abuse Reporting Hotline at 1-877-237-0004 or to local law enforcement. Junior League of Murfreesboro has a long history of supporting the Child Advocacy Center. At their recent new member retreat Junior League collected snacks and juice boxes for children who visit the Center. The Child Advocacy Center of Rutherford County, Inc. is proud to be selected as a recipient of a 2018 Nashville Predators Foundation grant. 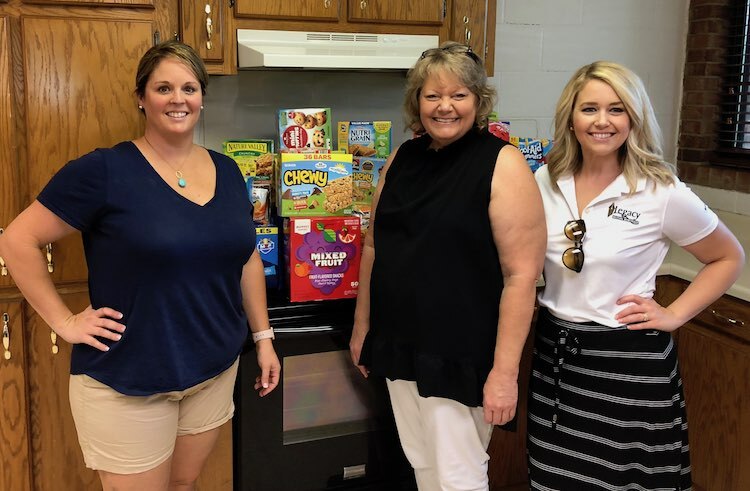 The Foundation set a new record by distributing 149 grants with the Child Advocacy Center being one of several Rutherford County organizations to receive funding. 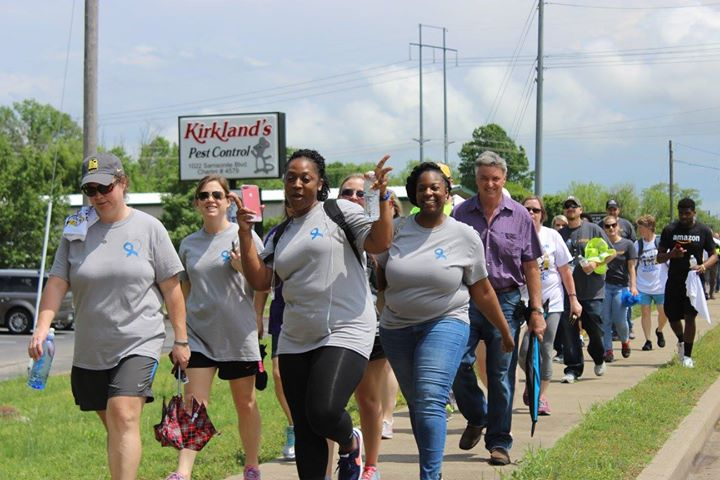 Child Abuse Prevention Month is ending in a few days, and our local hometown heros walked for the Child Advocacy Center a week ago, but law enforcement, child welfare and other officials vow to reduce this tragedy and prosecute offenders to the fullest extent of the law. 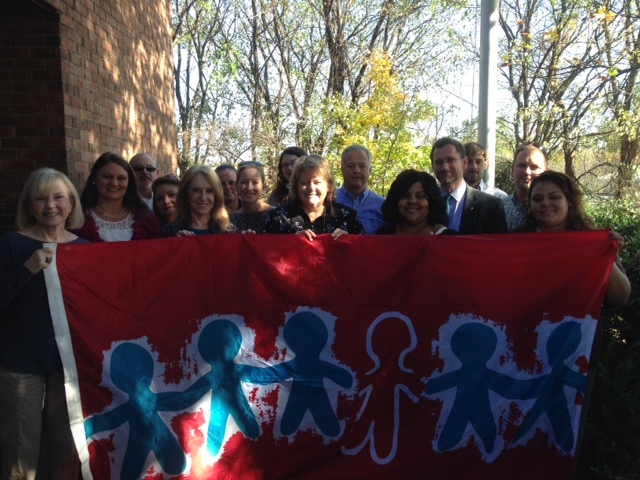 "One out of 10 children is a child sexual abuse victim," Child Advocacy Center Director Sharon De Boer said. "This means that everywhere you see children in our community - in schools, day cares, Sunday school classes, sports teams, cheerleading squads, choirs, bands - there are children who need our help." 1 of 10 local children are sexually abused before age 18. 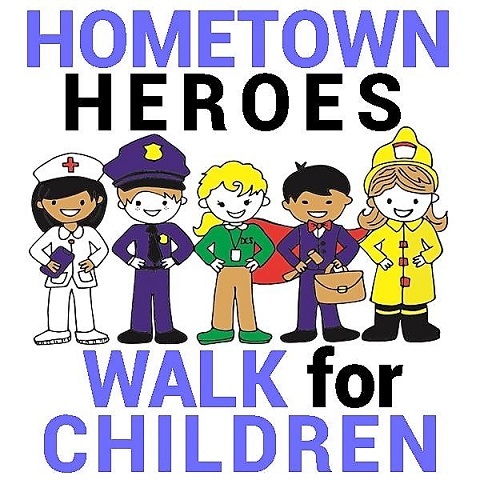 Help end this by walking from the Murfreesboro Civic Plaza to the Child Advocacy Center at 11:45AM on Friday, April 20, 2018. 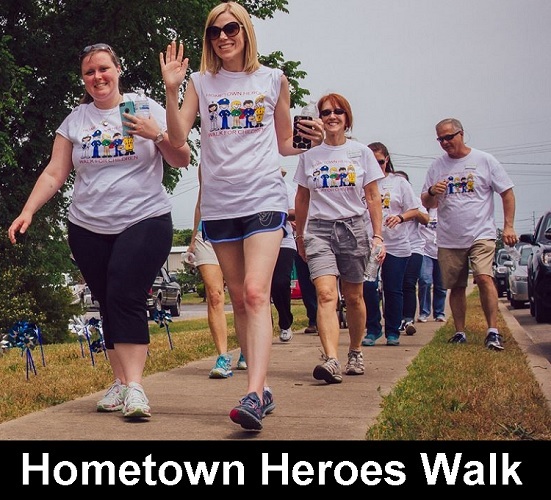 Support child abuse victims and honor the Hometown Heroes that help them by partnering with the Child Advocacy Center's 3rd Annual Hometown Heroes Walk for Children on Friday, April 20. The Child Advocacy Center is hosting the 18th annual Holiday Open House on Friday, December 1, 2017 from 11:00 a.m. until 1:00 p.m. at 1040 Samsonite Blvd., Murfreesboro. 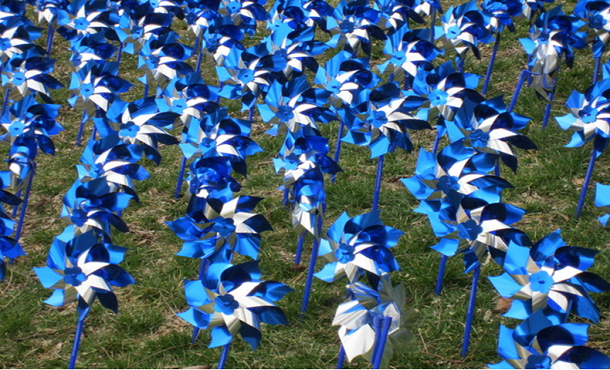 The Child Advocacy Center invites the community to join them in paying tribute to child abuse victims and survivors this Wednesday, November 15th at 12:45 p.m. 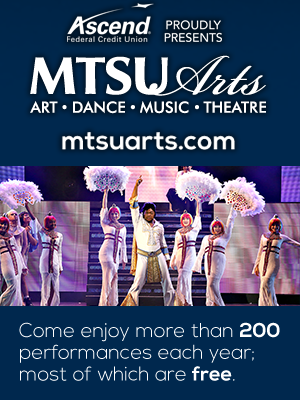 The event will be held at the center, located at 1040 Samsonite Blvd. United Way partners with the Child Advocacy Center to educate and reduce the public about child sexual abuse in the community. The Child Advocacy Center is pleased to announce that Cassell Galligan-Davis has been hired as the new Cannon County Coordinator. 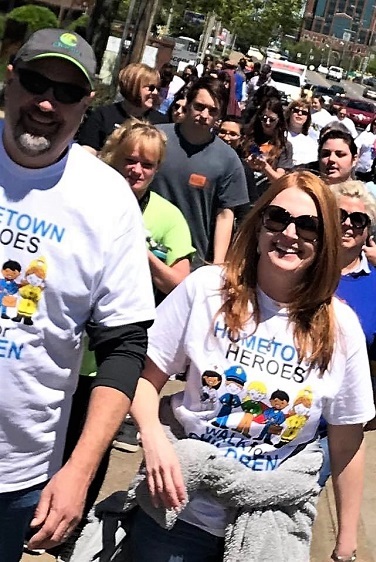 The streets of downtown Murfreesboro were filled with local hometown heroes on a rainy Friday last week (4/21/2017) as the Child Advocacy Center hosted the Hometown Heroes Walk for Children. 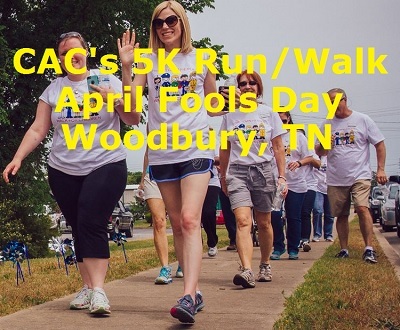 There's a run to raise awareness and funds for the Child Advocacy Center on April Fool's Day in neighboring Woodbury. Traffic will come to a brief stop as jesters of all ages take to the streets in support of child abuse victims for the first annual Cannon Runs for Children 5K Run/Walk. The Child Advocacy Center encourages everyone to learn more about "The 19 Days of Activism", a period to bring awareness to ways to spot and end violence against children and youth. This year, November 1 - 19, 2016 are those days that make a difference. Time is running out for sponsorship opportunities in the 6th Annual Turkey Tee Off, as the Child Advocacy Center invites golfers to the 6th Annual Turkey Tee Off Saturday, November 5th, 2016. The Child Advocacy Center invites golfers to the 6th Annual Turkey Tee Off Saturday, November 5th, 2016. 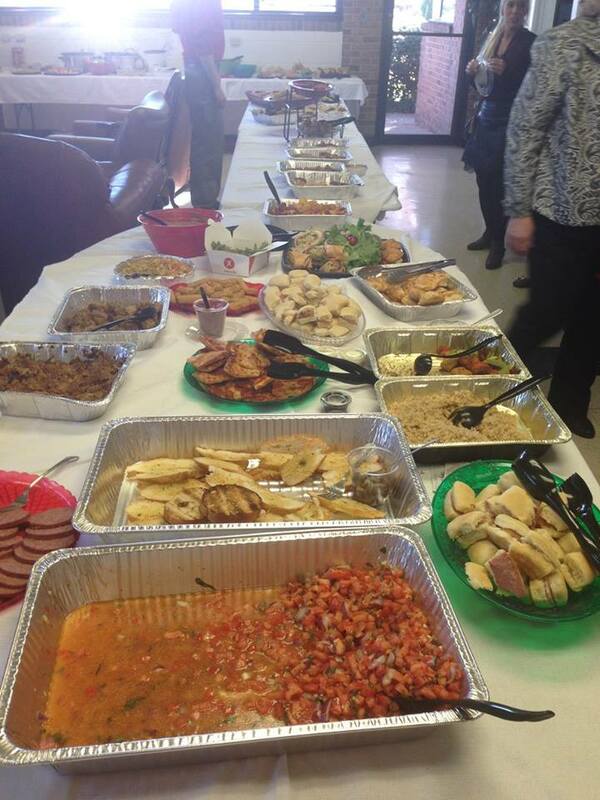 The Child Advocacy Center Thanks the Community for Their Support! "We want to thank our wonderful community for all of their incredible support of the first annual CAC Prize Patrol!" announced Child Advocacy Center board president Terry Fann. 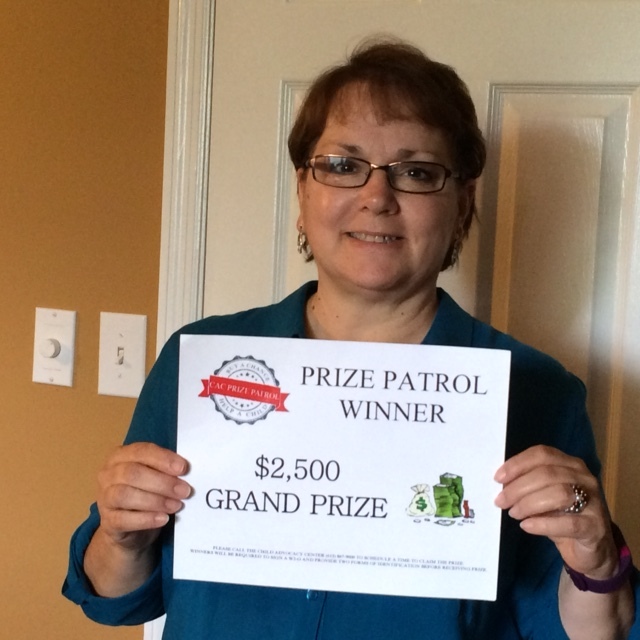 No Child Advocacy Center Duck Race, Instead a Prize Patrol! The Child Advocacy Center is giving away prizes without our feathered friends," announced CAC Prize Patrol Co-Chairperson Dara Payne. "Our exciting new event is the CAC Prize Patrol." Join the Rutherford County Coalition Against Child Abuse for a candlelight vigil to remember the children that have suffered abuse and recognize the individuals in our community that are working to prevent child abuse. Two Virginia Tech freshmen charged with kidnapping and murdering 13-year-old Nicole Madison Lovell from Blacksburg, Va., communicated with her online through the popular messaging app Kik. "One of my favorite Murfreesboro Christmas traditions is the Child Advocacy Center Holiday Open House. It is always held on the first Friday in December. 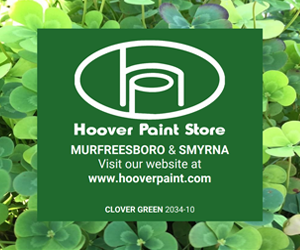 My favorite thing is spending time with our Child Protective Investigative Team members and the many supporters of our Child Advocacy Center," said Murfreesboro Police Chief Glenn Chrisman. In Rutherford and Cannon Counties, the Child Protective Investigative Team investigated 1,931 child abuse cases and 5 children's deaths from January 1-September 30, 2015. Murfreesboro Police Chief Glenn Chrisman says it's one of his favorite Murfreesboro Christmas traditions. 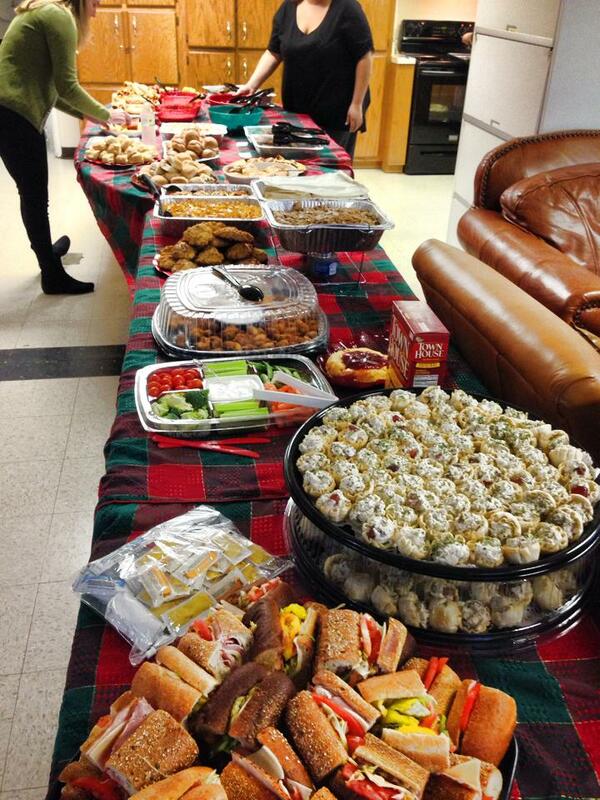 We're talking about the Child Advocacy Center Holiday Open House. "The hit every year at the Holiday Open House is the 'chocolate room'," shared Child Advocacy Center Director Sharon De Boer. 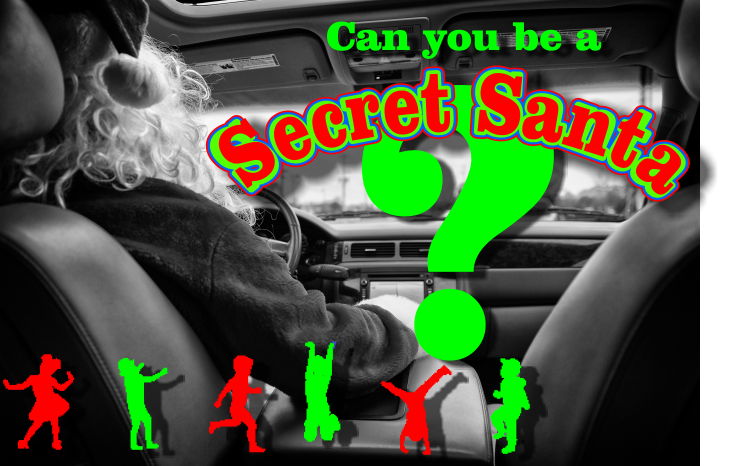 Could you be a "Secret Santa" for a child in Rutherford County? "There are less than 25 days left until Christmas and the Child Advocacy Center has 19 children ages 3-17 that need your help this holiday season..."
"November 19 marks the end of the 19 Days of Activism for the Prevention of Violence Against Children and Youth," announced Child Advocacy Center director Sharon De Boer." Many adults want to know how to respond when a child tells them they have a secret and don't want to tell. It's turkey season in Rutherford County. 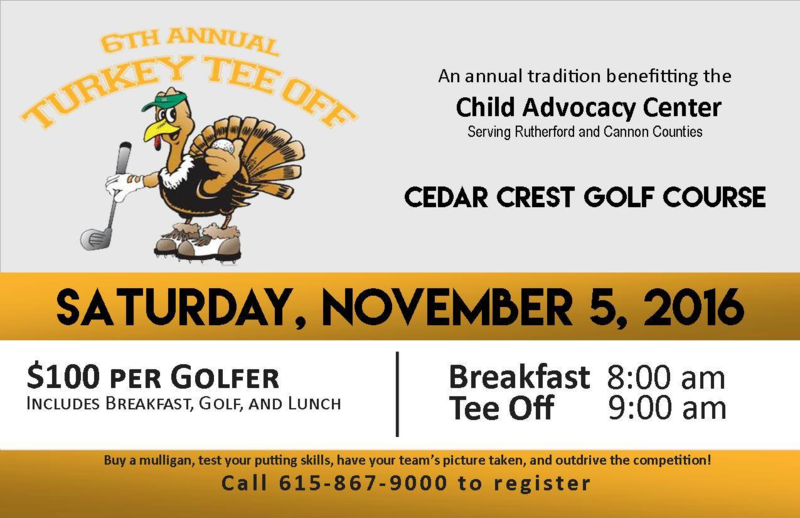 The 4th annual "Turkey Tee Off" golf tournament will be held on Saturday, November 8 at Cedar Crest Golf Course to benefit the Child Advocacy Centers in Rutherford and Cannon Counties. The 2nd Annual Rutherford Romp 5k/10K Run/ Walk and 1 Mile Fun Run has been announced for Saturday, October 4, 2014. 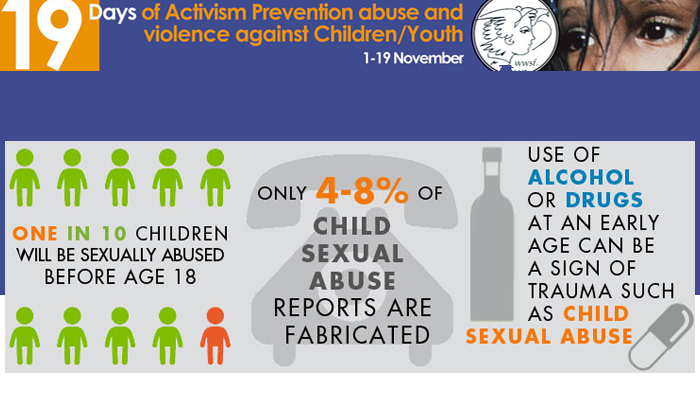 One in ten children are victims of sexual abuse by the time they turn 18. A 65-year old Wisconsin man has been arrested in Murfreesboro on a very serious charge that may keep him in Rutherford County until his court date in July. 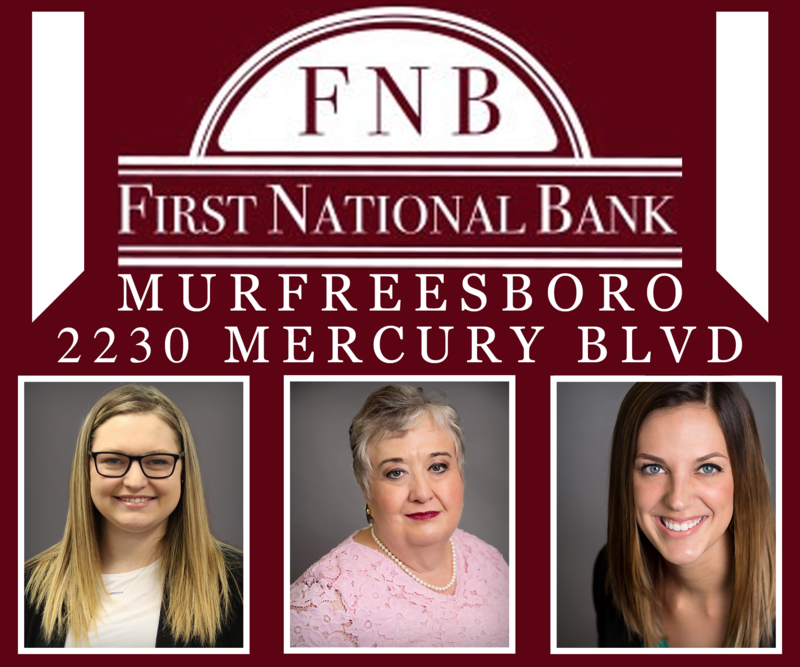 (MURFREESBORO) - The first duck to cross the finish line at the Duck Derby was adopted by Connie White of Murfreesboro, who won the grand prize of $5,000. White picked up her duck adoption form at the F.A.C.E. It Fitness Boot Camp at the MAC. Duck Derby CORPORATE RACE 1PM Today! The ducks have taken a bath and every feather is in place for the big race throughout the day at SportsCom (Saturday, 5/17/2014). Connie White Big Rubber Duck Derby Winner! Saturday afternoon was filled with excitement as 5,600 yellow rubber ducks, cheered on by a crowd of spectators, raced down the slides at SportsCom. It was the seventh annual Rubber Duck Derby to benefit the Child Advocacy Center. If It Walks Like A Duck...CAC Duck Derby This Saturday! The Duck Derby is this Saturday, and you could win $5,000 cash! Dealing with abused children is like being dropped into a lake of oil in a foreign country with the children, said a grandmother whose two grandchildren in her care suffered physical, mental, and verbal abuse. Try your luck at adopting the winning duck for $5,000 bucks from the annual Child Advocacy Center’s Duck Derby. Quack, Quack--Duck Derby has Vintge Bike! The prize for the “Last Duck Standing” in the Child Advocacy Center Duck Derby is a bicycle from Smoopy’s Vintage Bicycles! April is Child Abuse Awareness Month. Sharon De Boer, executive director of the Child Advocacy Center, says many children never report child abuse and child sexual abuse to a trusted adult. Experts estimate that one in 10 children will be sexually abused by their 18th birthday and 90 percent of those victims never report the abuse. "Duck Derby" Day Set For May 17th! The Child Advocacy Center is hosting the 7th Annual Duck Derby on May 17, 2014 at SportsCom. The MTSU Alpha Kappa Alpha Sorority partnered with the Child Advocacy Center and volunteered their time for the 2014 Duck Derby. Steps 2 - 4 re: child abuse "Darkness To Light"
The Child Advocacy Center is the liason between youth who have been abused and law enforcement as well as the judicial system. 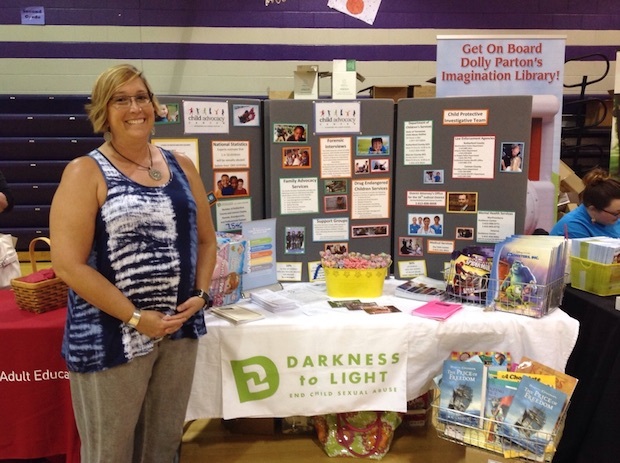 Executive Director Sharon De Boer continues her "7 Steps from Darkness to Light". Here are steps 2 through 4. 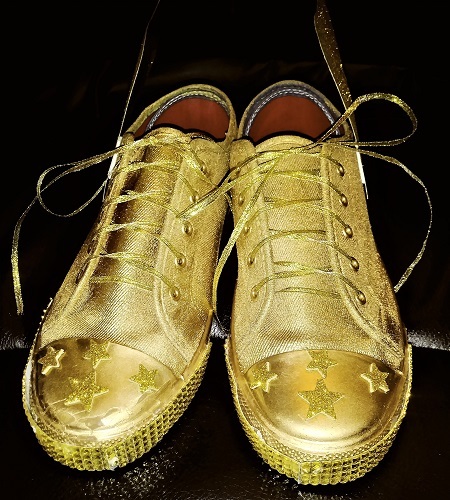 CAC's "Bash" Successful, Plus--7 Steps To Protect Children From Sexual Abuse! Over $10,000 was raised to support the Child Advocacy Center’s Darkness to Light Project when about 200 supporters enjoyed the “Under the Moonshine” Barn Bash at ThorSport Farm. Plus, steps to protect your child from sexual abuse. With child abuse cases “The key to successful prosecution starts with a thorough investigation of the allegations,” said District Attorney General William C. Whitesell, Jr. 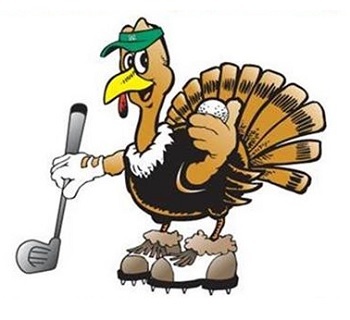 The 3rd annual “Turkey Tee Off” golf tournament will be held on Saturday, November 9 at Cedar Crest Golf Course to benefit the Child Advocacy Centers in Rutherford and Cannon Counties. “Diverse organizations are working for a global transformation against child abuse, increasing public awareness, and collaborating to assist victims and prosecute perpetrators,” said Sharon De Boer, executive director of the Child Advocacy Centers in Rutherford and Cannon Counties. 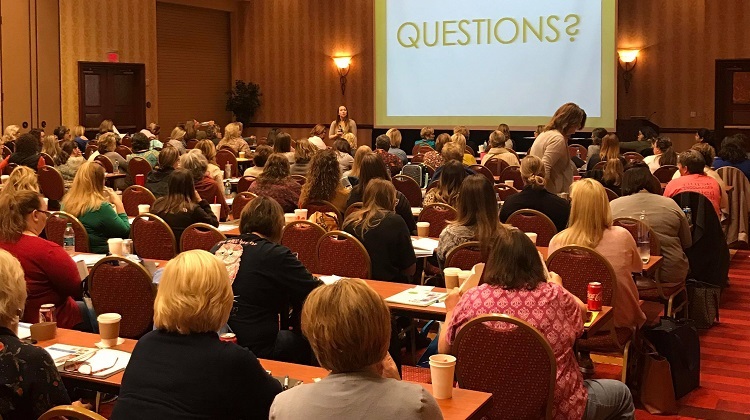 Boys and girls are silently bearing the burden of child sexual abuse alone because only 10 percent of children report the abuse to a trusted adult, said Sharon De Boer, executive director of the Child Advocacy Centers in Rutherford and Cannon Counties. 7th Annual Rubber Duck Derby a Hit at New SportsCom Location! PICTURES!